The Fucsia 12 pendant lamp by Flos is a design by the famous Italian designer Achille Castiglioni from 1996. The design is characterised by 12 individual mouth-blown glass cones that hang elegantly in a straight line from the ceiling. While the upper part of the conical glass body is transparent, the lower edge has a sandblasted matt finish to prevent any glare. The sandblasted finish offers the delicate shades its unmistakable crystal look, enhancing the graceful appearance. A simple translucent silicone ring provides the necessary protection of the glass and completes the light cone. The 12 Fucsia emits direct, downward light, making it ideal for the illumination of large dining tables. With the help of the integrated reflector, individual elements on the table can be illuminated in a targeted manner. The glass bodies are fixed onto a canopy (sold separately), which allows for an uncomplicated ceiling installation. The pendant fixture is particularly beautiful in rooms with a generous ceiling height. My first purchase from Connox and the customer assistance is outstanding. Many thanks for your support. 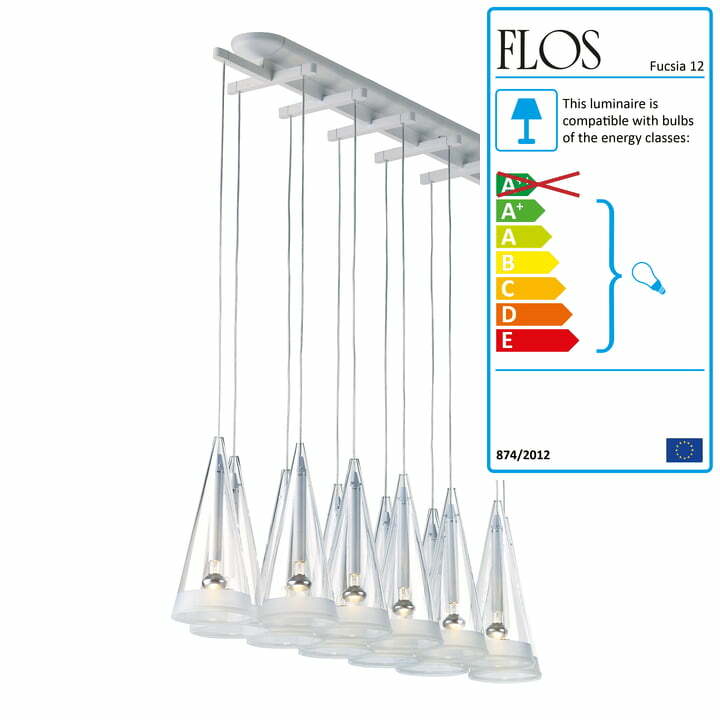 About the product, nothing to add, Flos design and quality as always = TOP. 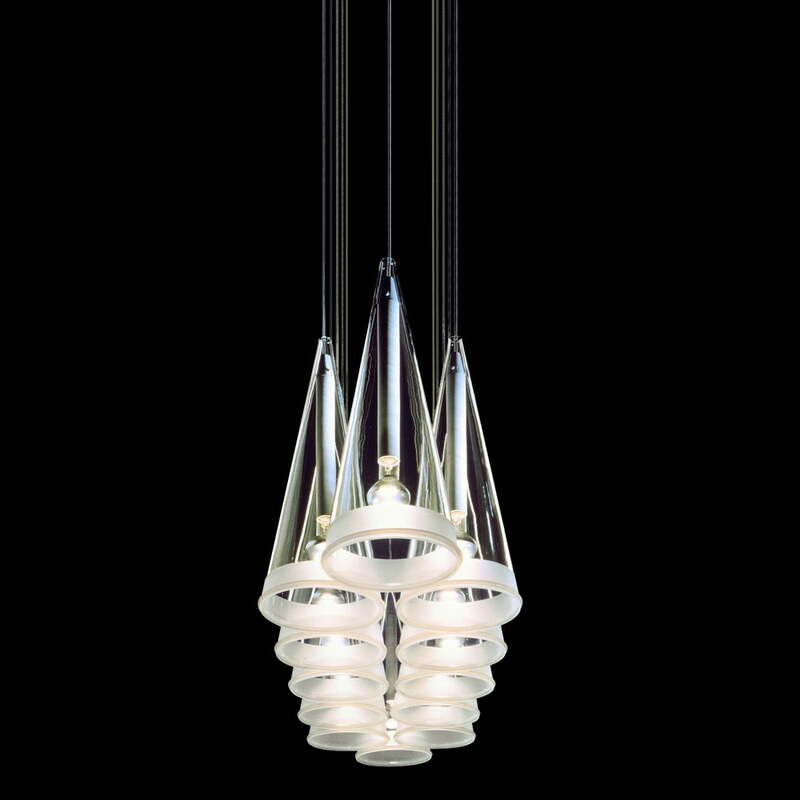 Isolated product image of the Fucsia 12 Pendant Lamp by Flos. 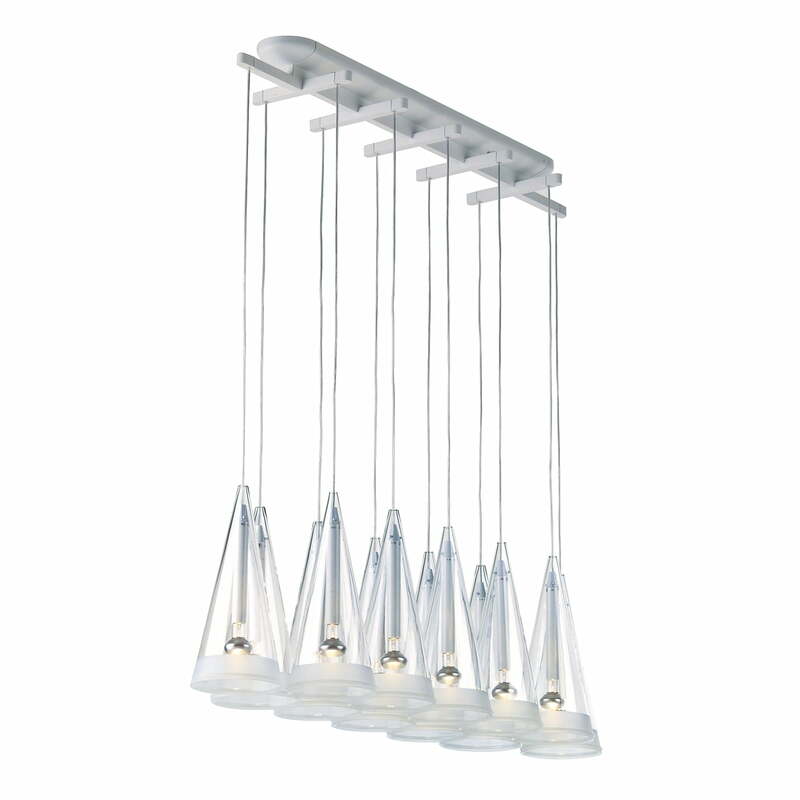 The 12 single, mouth-blown cones provide for a beautiful light ensemble above any dining table. Lifestyle product image of the Fucsia 12 Pendant Lamp by Flos. The 12 Fucsia emits direct, downward light, making it ideal for the illumination of large dining tables. Lifestyle product image of the Fucsia 12 Pendant Lamp by Flos. 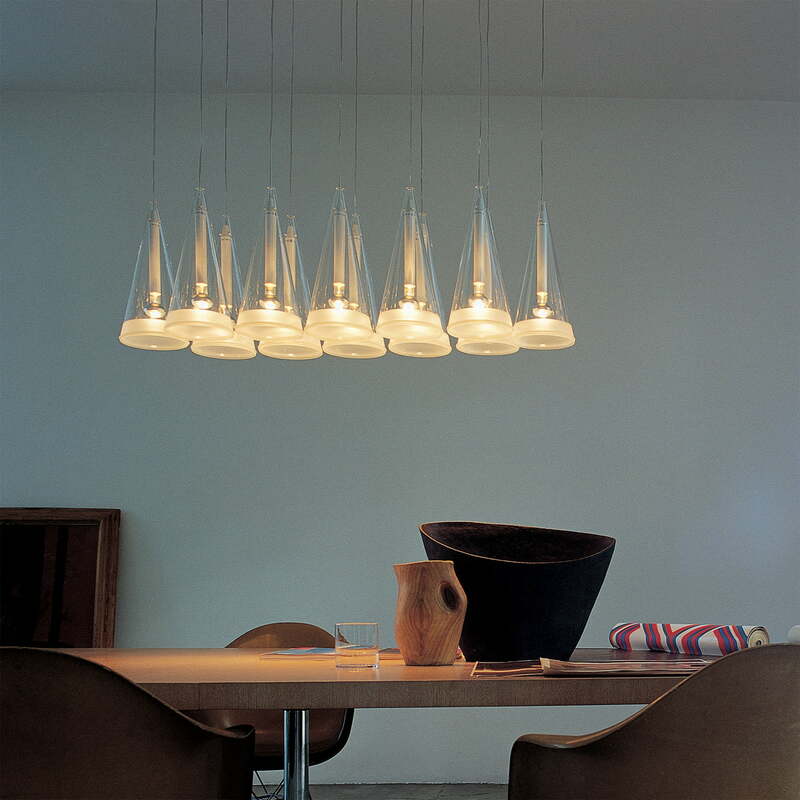 The pendant fixture with 12 delicate glass cones looks especially impressive in rooms that have a high ceiling.